The Avanti may not be known as a pony car, but it rumbles like one. In fact, back in the day, its throaty, free-flow mufflers were deemed too loud for California. The wide door makes for easy entry, the bucket seats give good support, and there’s plenty of headroom. The instruments, encased in their pod, are readable at a glance through the elegant steering wheel. The pedals sit high off the floor and a bit close together, but the clutch is light and the T-10 shifts easily. We don’t hit 90, but assuredly can. As advertised, the boosted brakes are swift and sure, a remarkable improvement over the Avanti’s period competitors. The steering is light, though we’re told an Avanti without power steering offers a good upper-body workout. The car wanders a bit by today’s standards-no surprise as it rides on skinny bias-ply tires. We hear no creaks or groans over the bumps, commendable for a glass-bodied car. We end up driving nearly 40 miles during our photo session, starting and stopping maybe 20 times. The Avanti springs to life each time, runs cool, and is thoroughly pleasant to drive. It also turns heads: At each stop, folks want to talk about it, including several who have no idea what it is. It’s been more than 55 years since the radical and innovative Avanti was introduced, and its cool factor remains high today. For more Avanti information, visit theavanti.net, aoai.org and studebakermuseum.org. Although it sported an undeniably Space Age fiberglass skin–that body weighed only 550 pounds–underneath it the Avanti sprang from various parts bins. Studebaker pulled the 289-cubic-inch V8 from the Hawk, the frame and suspension from the Lark, the supercharger from Paxton, the manual and automatic transmissions from BorgWarner, the limited-slip rear from Dana, the front disc brakes (which were the same as the Jaguar E-Type’s) from Bendix/Dunlop, and the finned rear drums from Lockheed. 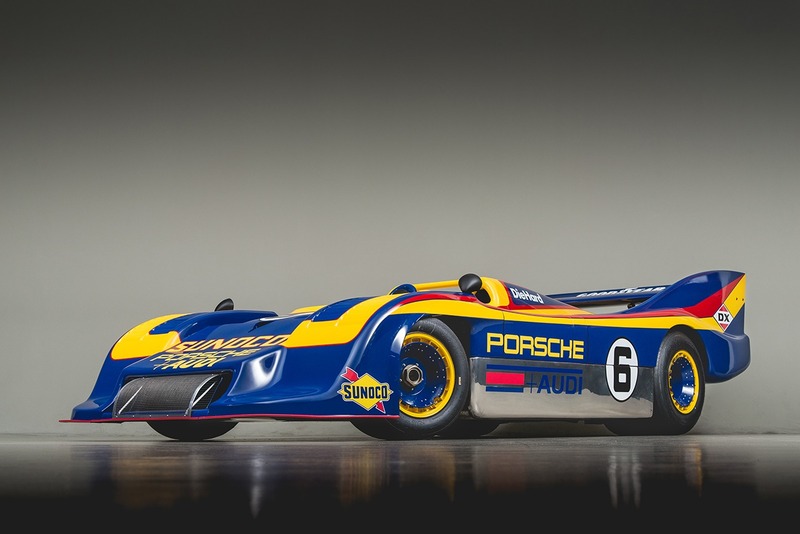 Engine options included the naturally aspirated R-1 (240 horsepower), the supercharged R-2 (289 horsepower) and the R-3, which was massaged by Andy Granatelli to produce 335 horsepower. Studebaker built only nine Avantis with the R-3 engine, but after the company stopped production, Granatelli bought the remaining R-3 engines and retrofitted a few Avantis with this potent option. 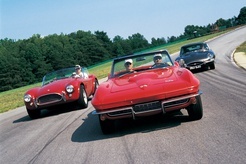 Michael Chernago, who splits his time between New York and Florida, is a lifelong Studebaker fan who owns five examples ranging from the biggest, a rare Detroit Diesel-powered semi-trailer tractor, to the sportiest, his Avanti. Michael found this well-equipped R-2 in 1997, not long after it had undergone a two-year, frame-off restoration using NOS parts. 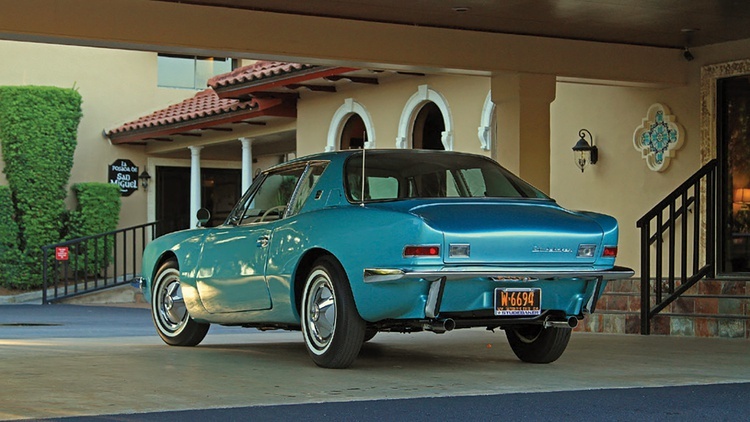 It came with extensive records, and he’s the sixth owner of this bone-stock example— which is considered by experts to be a prime, never-molested Avanti. The only change he’s made is to replace the factory 4:09:1 gears in the Twin-Traction rear end with a cruising-friendly 3:73:1 ratio. Values are rising along with the attention from collectors. Avantis in good-to-excellent shape now sell in the $35,000 to $55,000 range, and buyers will pay a premium for supercharged and four-speed cars. A concours-quality R-2 brought nearly $75,000 at a 2013 auction, and one of the elusive, factory-built R-3s sold for $96,000 at a 2010 auction. A Pony Before the Mustang? Talk to Avanti owners today, and they believe their car makes a pretty good case for itself. The model hit the streets in the fall of 1962—nearly two years before the Mustang-with the now-familiar formula: V8 power, long-hood, short-deck styling, and front bucket seats. The Avanti offered three engine choices, either manual or automatic transmission, and a host of performance options and advanced safety features. The Mustang and Avanti were similar performers, although the Avanti had a slight edge: Road & Track timed an R-2 from zero to 60 in 7.3 seconds versus 7.6 for a Hi-Po Mustang, and both cars topped out at around 120 mph. On paper, the 335-horsepower R-3 Avanti matched well against the Shelby GT350–at least in a straight line–and, don’t forget, held 29 speed records. Even if the Avanti had been able to stick around, however, it couldn’t compete on price. A well-equipped Avanti cost around $5000, while a loaded V8 Mustang could be bought for $1000 less. Just about the time the Mustang roared out of the gates to storm the market with more than a million first-generation examples, Studebaker sank from sight, taking the Avanti with it. It’s one of those coulda, woulda stories for the ages. After Studebaker’s demise, the Avanti motored on–with starts and stops–under a succession of owners for more than four decades. Shortly after the South Bend factory closed, two local Studebaker dealers, Nathan Altman and Leo Newman, bought the Avanti name, along with the manufacturing rights and tooling. 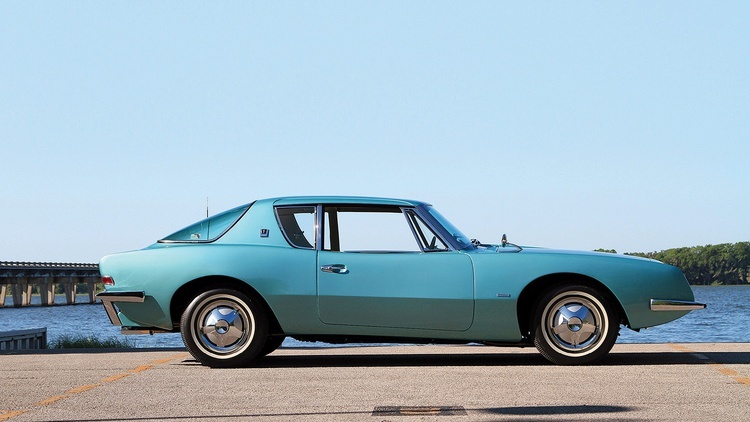 They relaunched their Avanti II in 1965 as a limited-edition luxury GT, with few visible differences from the original. 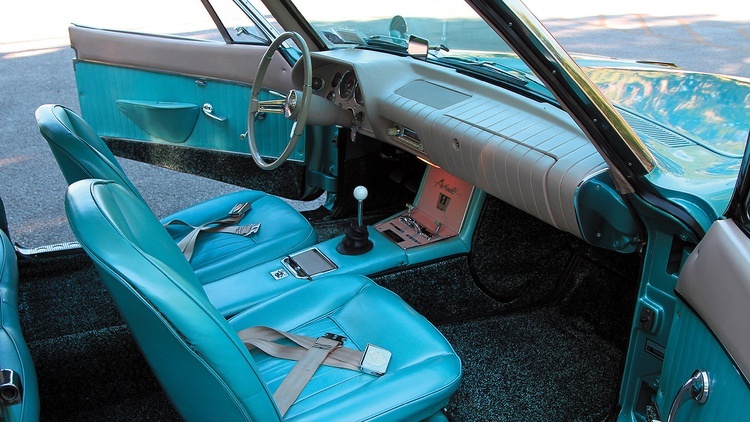 Each Avanti II was equipped with Chevy’s 300-horsepower, 327-cubic-inch V8 (and, later, other Chevy V8s), and they continued to use MFG fiberglass bodies on Studebaker Lark frames (built by Budd), with Bendix brakes and BorgWarner transmissions. While this combination proved to be an above-average performer, at $6500-steeper than a Corvette or Jaguar E-Type-it was a hard sell. This company held on until 1983, when real estate developer and Avanti fan Stephen Blake bought it and changed the car’s name back to Avanti. Blake introduced a convertible but couldn’t generate more sales, so in 1986 he sold the company to South Bend native Michael Kelly, who moved production to Youngstown, Ohio. A year later Kelly sold the company to John Cafaro, who continued the convertible and introduced an odd-looking four-door sedan. Examples trickled out until 1991, when the Ohio factory closed. After a few years in hibernation, the manufacturer again stirred to life and released yet another updated Avanti, called the AVX, based on the Pontiac Firebird. Sales never took off, and the company folded again. A year later, John Seaton and Michael Kelly (yes, that previous owner) bought the remains and teamed up to release another design using Ford chassis and engines; production started in 2001 in Villa Rica, Georgia. 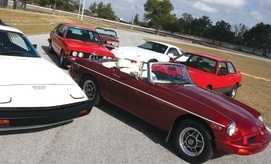 The Cancun factory, filled with rare Studebaker and Avanti vehicles and parts, remained closed and was sold in 2011. For some time after the closure, diehard Avanti fans made pilgrimages to Mexico in hopes of uncovering remnants–or perhaps witnessing yet another resurrection. So far that hasn’t happened. The Avanti’s long and checkered post-Studebaker run saw about 4100 more examples built. Can it now officially be declared dead? Don’t be too sure. Last time we checked, an Avanti Motors zombie website, carrying photos of the 2007 models, still lurked out there in the ether. 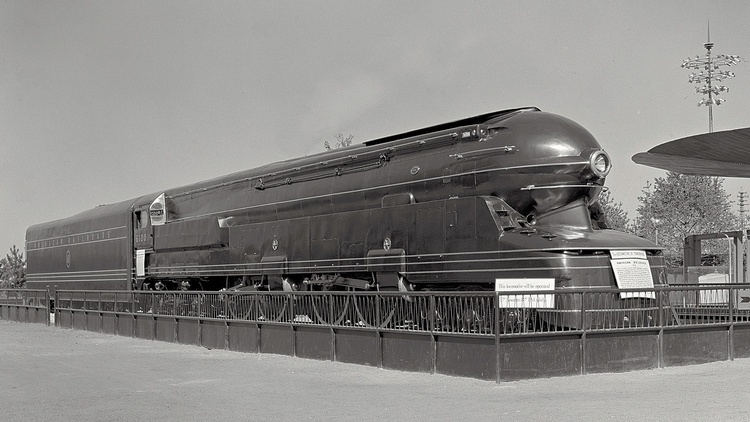 Raymond Loewy's designs knew few bounds, from steam locomotives to household goods. 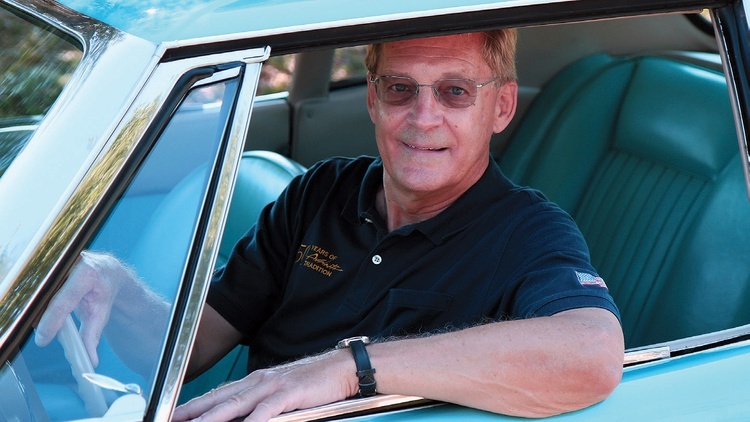 When Stuart Egbert took over Studebaker in 1961 with orders to reverse the company’s death spiral, he chose to electrify the American car-buying public by creating a whole new image for the once-great independent. His plan was to emulate Detroit’s Big Three by introducing an elite, limited-production sports model that would turn heads and create sales. It was a familiar template. GM Director of Design Harley Earl had introduced the Corvette in ‘53, and Ford had countered with their smash hit Thunderbird in ‘54. Chrysler and Virgil Exner almost topped them both with ‘54’s stunning Dodge Firearrow concept, but that dream never made it to production. Still, Egbert had seen how the creation of a halo design might draw attention to Studebaker. 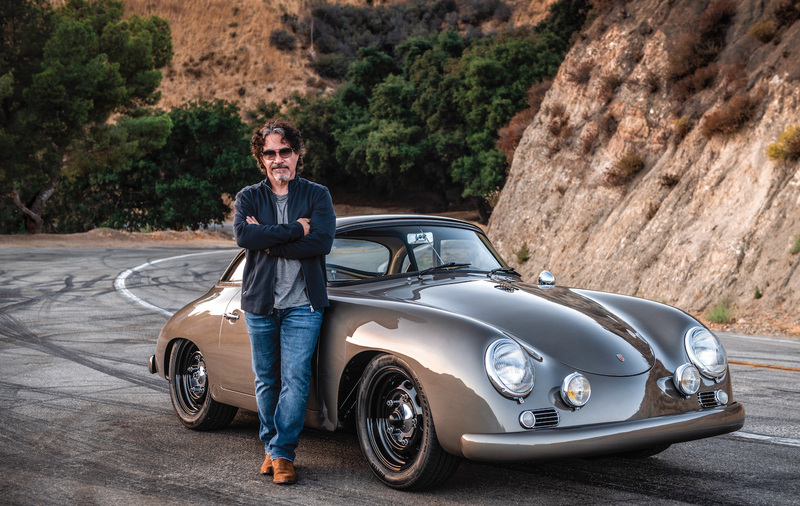 He called in famed independent designer Raymond Loewy-whose office had been responsible for most of Studebaker’s best lines since ‘41-and outlined his plan for a “sports-themed” personal car to debut at the New York Auto Show, which was just months away. Loewy took the job on the condition that his team would do the work outside of Studebaker’s design studio in South Bend, Indiana. Loewy gathered his team in Palm Springs and laid out the plan. There were no engineering limitations at that point, because not even the designers and engineers in South Bend were aware of Egbert’s secret project. He wanted to give Loewy complete freedom to create a stunning new image for Studebaker. The only real limitation was time: The concept was needed within a month! Loewy also wanted a subtle, Coke-bottle shape to differentiate his concept from anything then in production by the Big Three, and requested a front-fender design similar to one he’d admired on a recent Lincoln. Other than that, Kellogg was free to present whatever he felt would out-distance anything yet created in Detroit. Amazingly, eight days later the team’s quarter-scale model was finished, with a two-place concept on one side and a four-place design on the other! Loewy immediately took the model to Egbert in South Bend, where the four-place design was selected. Loewy’s design team was then disbanded and Kellogg was released. He was not to see his unique shape again until a year later, when it went into limited production in the fall of ‘62. At 3500 pounds the new Avanti was also limited in performance, as Studebaker lacked an engine capable of propelling that heft past its competitors. 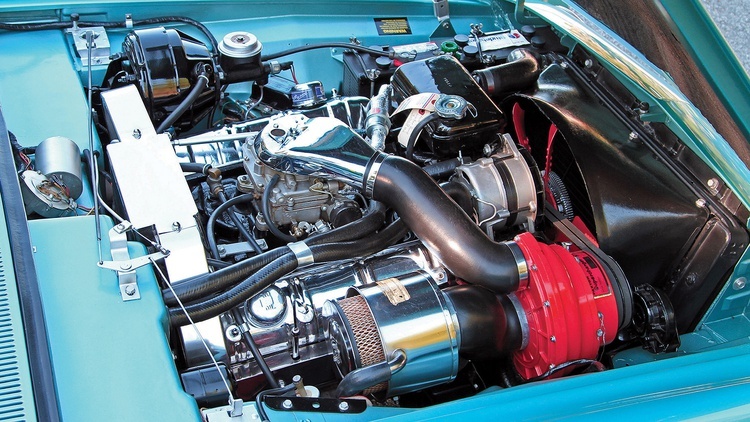 Studebaker’s latest 289 Hawk OHV V8 wasn’t matching the performance of Chevrolet’s latest fuel-injected V8s, though that problem was later resolved when Chicago tuning specialist Andy Granatelli installed Paxton superchargers to offset the weight. Under its once-handsome skin, the Avanti was essentially a parts-bin special, much like GM’s earliest Corvettes. Although still a good-looking car compared to its contemporaries, the Avanti was priced too high in the existing market and performance was lacking. Still, it became an icon of American design and continues to attract strong adherents even today who swear it’s one of the best-looking cars ever built in America. 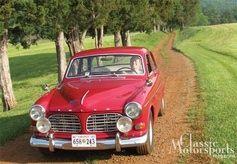 Join Free Join our community to easily find more Studebaker articles.